From January 15 to 18, the Secretary General of COPEAM, Claudio Cappon, visited the main audiovisual operators in Jordan and Lebanon. Introduced and accompanied by Dr. Radi A. Alkhas - CEO of Jordan Media City, COPEAM member - Claudio Cappon met, in Amman, the General Manager and the Chairman of the public broadcaster JRTV, with whom he could define the future lines of cooperation as part of the joint projects developed so far; subsequently, he visited the studios of the new national channel Al Mamlaka TV, as well as the new headquarters of the Jordan Media Institute. On this occasion, a meeting was held with Dana Alsuyyagh, Director General of Al Mamlaka, who showed great interest in the activities and opportunities offered by the Association. The visit to Jordan ended at Roya TV, where the founder Fares Sayegh illustrated the mission and goals of this private channel aimed primarily at young people. 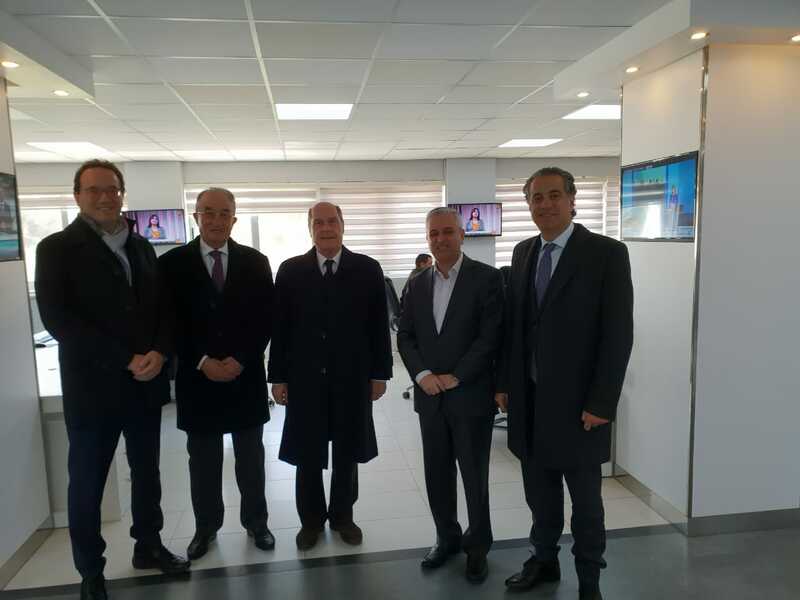 In Lebanon, the COPEAM delegation was received by the Director General of the Ministry of Information, Hassan M. Falha, and by the highest representatives of the two national broadcasters Télé Liban and Radio Liban, both members of COPEAM network. The final act of this dense agenda of meetings, aimed at inaugurating new collaborations and reinforcing the cultural and audiovisual cooperation relations in this area, was a working lunch with Peter Joe El Daher, representing LBCI, an important Lebanese private TV, which has recently joined our Organisation.